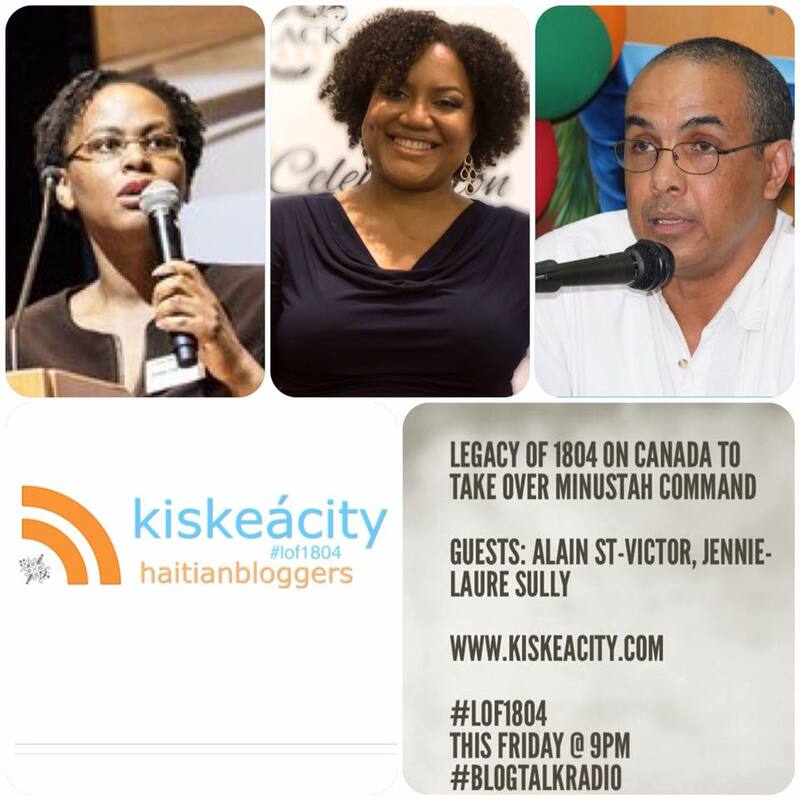 Join me this Friday at 9PM as I welcome Alain St-Victor and Jennie-Laure Sully to discuss Canada potentially taking over command of MINUSTAH. 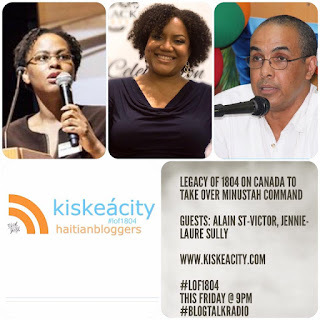 Listen live or on demand on the player below or at http://www.blogtalkradio.com/pancaribbean/2016/05/21/legacy-of-1804-on-canada-to-lead-minustah-lof1804-haiti-un. Listen LIVE ONLY on the phone at (714) 242-6119.